Well, I had a 10 days trip to Madura Island and Surabaya in early January 2015, start from January 6 to January 15. In the middle of the trip, my niece was sent me some beautiful photos showing new postcards just arrived from Hong Kong and Germany. OMG! The first one is from Ms. Stacey Tsang in Hong Kong. The postcard ID is HK-301093. "Hi! This is Stacey from Hong Kong! As you are a French Literature student, I think language is not a problem for you. 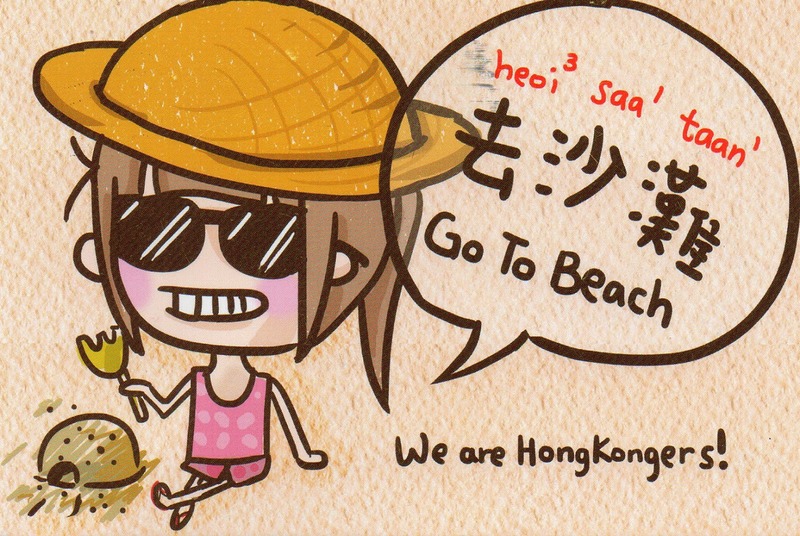 This postcard teach you how to pronounce "go to beach" in Cantonese. My domestic helper is an Indonesian too. We just went to visit her home in Pati in Java on June 2014. I've also visited Borobudur as well. It's amazing! Happy Postcrossing!" My niece told me that Stacey put her address on the postcard. So, a few days later (I was still in Madura Island) I sent her a beautiful Borobudur card as a 'thank you postcard' and I wrote a word "thank you" in Chinese letters. Well, I'm really happy when my Postcrossing friends put their address on the card, so I can correspondence with them! 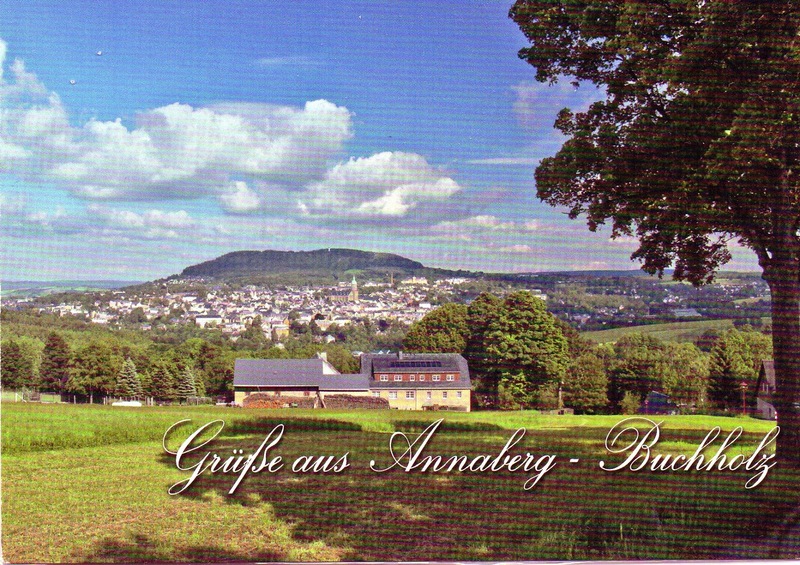 The second is from Lothar in Annaburg-Buchholz, Germany. The postcard ID is DE-3750486. "Hello Saumi, I send you greetings from East-Germany. This is my hometown. It is in Ore Mountains, 520 years old, a former center of silver mining (15th to 19th century). Now we have 4 museums, many tourists. All the best! Lothar." Wow, what a history! The view is beautiful, isn't it? Well, that's why I really love viewcard! The last one is from Simon in Hong Kong. 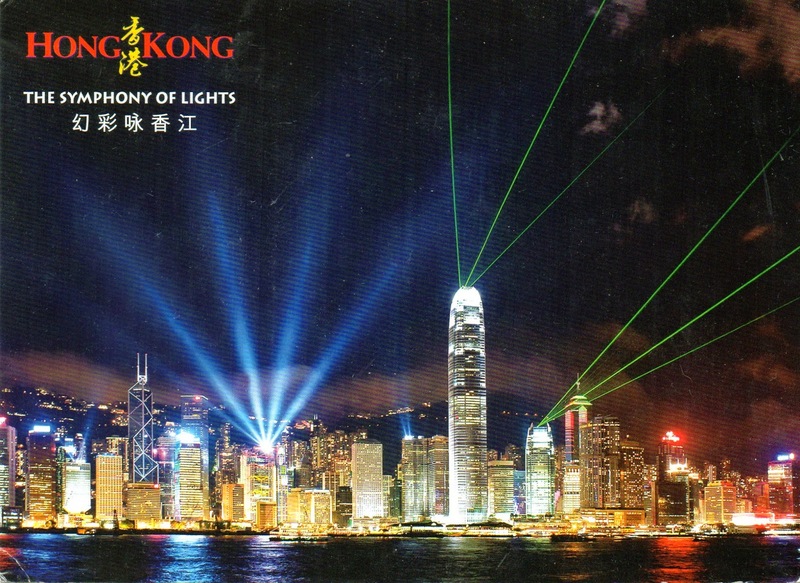 The Postcard ID is HK-300663. "Hello, how are you? I hope everything is good on you! Have you visited Hong Kong/China before? I wish you could pay a visit to explore my tiny but wonderful city. But I've never gone to Indonesia yet. Lastly, I sincerely wish you a happy and healthy 2015! Cheers! Simon." Another beautiful viewcard! OMG, I really love it! It reminded me about my late mom. I've never visited Hong Kong, but my mom did a thousand times for business trips when I was a kid. She always told me about how beautiful Hong Kong and how nice eating in a floating restaurant with Hong Kong's city view. She wanted us to go to Hong Kong someday. But we will never go to HK together, she's already in Heaven before her wish come true. That's it. That's all from me. If you have story about your postcard, please leave a comment below. Happy Postcrossing! Have a great day!